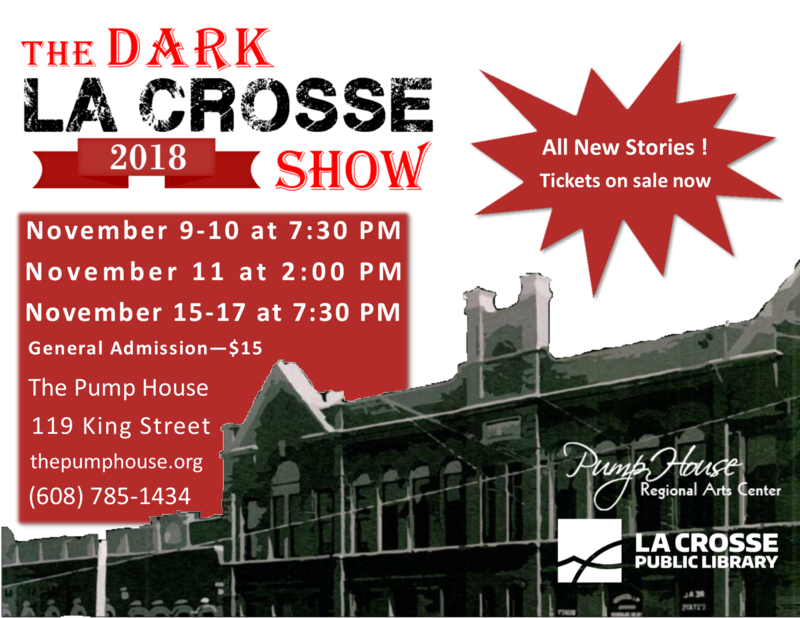 The La Crosse Public Library Archives is proud to present the 2018 edition of the popular annual Dark La Crosse Show. The unique production, performed in the style of an old-time radio and variety show, features all-new exclusive stories, period-appropriate live music, and a multi-media visual experience heavy on archival photographs. Local talent will recreate true crime stories from La Crosse’s past including murder in the pearl button industry, a notorious Red Light District madam, a 19th-century rail yard ghost that had the whole city on edge, and a love triangle saga almost too incredible to be believed as if cut right from the most outrageous tabloids – but it’s all true! Tickets are $25 for this special Rotary Works Benefit Performance on Thursday, November 8. All proceeds go to benefit Rotary Works Foundation- La Crosse. Tickets are also available for our performances on November 9-11 and 15-17.